A pair of Class 156s in unfamiliar surroundings. 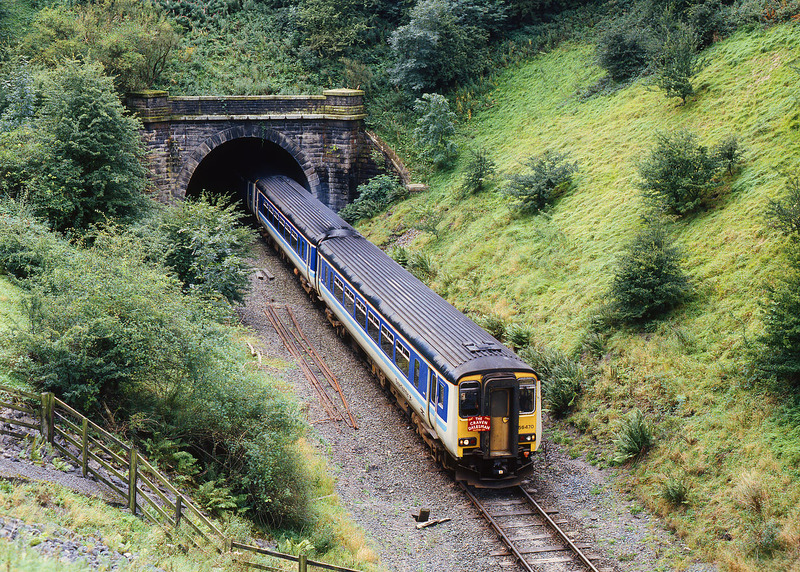 156470 & 156472 emerge from Haw Bank Tunnel, near Skipton on 7 September 1997 with the Aire Valley Railtours 2Z20 12:20 Skipton to Rylstone 'Craven Dalesman' railtour, run in connection with the Skipton 150 celebrations. The pair returned later as the 13:10 Rylstone to Skipton, and then completed two more round trips.